One of my most vivid memories of growing up in Newcastle was being allowed to stay up late on a school night and being taken into Newcastle City Centre in the dark to watch the pantomime at Newcastle's Theatre Royal with my aunt, uncle and cousin. It was a real treat back then (actually it still is a real treat) and as a child, it's pretty much the only time I went into Newcastle at night (the only other time was to visit Fenwick's Window). I remember walking down Grey Street with wide eyes at the big city lights and holding tightly onto my cousin's hand as if it was yesterday. The theatre seemed so grand and we always had such a magical night filled with laughter, fun and ice cream. We literally used to skip from the theatre back to the car afterwards. To me, that's what panto should be like and I really hope my children grow up with their own special memories of trips like this too. So it may come as a surprise to hear that I've never taken my own children to watch the panto at the Theatre Royal. Yes, you read that correctly. Despite it being a bit of a North East institution, it's just something we've never experienced together. There is a very good reason behind this though and that's because our lovely school always take our children to watch panto at the Theatre Royal on the last day of term as a treat for all those who have followed the school rules (and us parents don't have to pay a penny - how cool is that!). Harry, Heidi and Jack always rave about how much they love this special treat and Jack even got asked up on stage last year which is something that the whole school still talks about today. H, H and J talk so fondly of Danny and Clive that I am pretty confident it's going to be annual trips to the Theatre Royal with school that they're going to look back on with fond memories when they're older too. We're pretty lucky to have such a fantastic duo who perform in the North East year after year with such enthusiasm and fun. 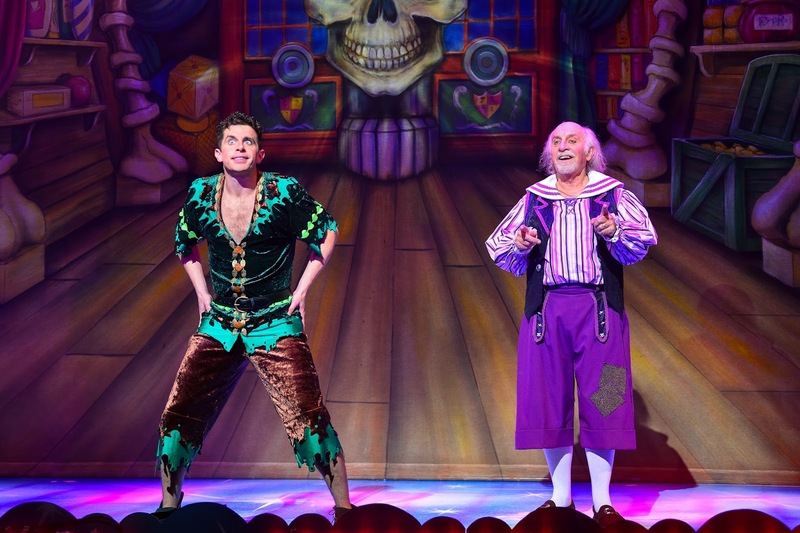 My friend who lives elsewhere in the UK mentioned she was jealous that Danny and Clive starred in our local panto as their household are huge fans and after watching them in action again last night, I can certainly see why this cheeky duo are loved by us Geordies so much. This year we were kindly invited along to press night. I did worry about whether taking the kids to see this show before they go with school might spoil it a little for them but when I mentioned it to them there was no way we couldn't go. They were dying to share the fun with Steve and I and for us to be part of their tradition. 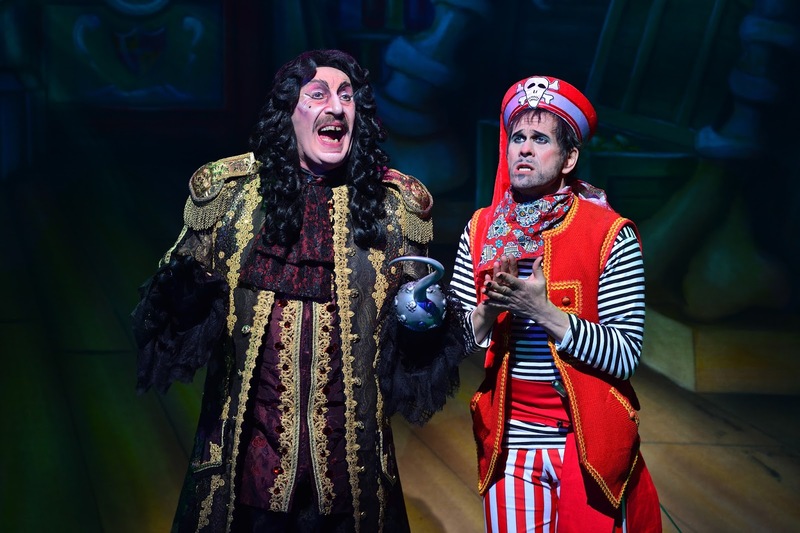 Most people you talk with will say that panto at the Theatre Royal is the best in Newcastle. I know plenty of people who buy their tickets as soon as they're released, over a year in advance and have been going as long as they can remember. For many families, visiting the Theatre Royal at Christmas time is the same as Brussel Sprouts on their Christmas dinner - Christmas wouldn't be Christmas without it. So I had super high expectations. I was surprised to see so many grown-ups at this panto without children too - probably the most I've ever witnessed. There were couples and groups of friends as well as families and groups in the audience, it was a real mix. We've watched the show's main stars Danny and Clive perform at Butlin's a few times before and the children obviously watch them every year with school. Their catchphrases are pretty common in our household throughout the year. I will say that their humour isn't necessarily my cup of tea - it's very silly with lots of innuendoes that are just on the right side of ok for a family audience. Despite this kind of humour not normally appealing to me, I still managed to have a really good night which I think really speaks volumes about how this panto caters for everyone. I think 7-12 year olds are the perfect age for this kind of humour and the older children will love starting to understand some of the more grown-up jokes too. Harry, Heidi and Jack laughed the whole way through the show - from curtain up right until the end. At one point Jack said he was going to die from laughing so much. They were jumping up and down in their seats and they really had the best time ever. Again, I think their ages are just perfect for this show. Despite myself not being fond of too much silliness, I couldn't help but laugh along with the kids and the show is packed with jokes that I hadn't heard before. There is so much adult humour in this show too and Steve and I caught each others eyes above the kids' heads on more than one occasion and it was nice to raise our eyebrows and share our own personal jokes that the kids weren't aware of. There were quite a few stand-out moments from this panto and it was super entertaining throughout for all ages - I never once considered looking at my watch and checking how much time was left. The Tibuktu Tumblers as The Neverlanders and Sascha Williams and Stephanie Nock as The Drunken Pirates really raised the bar - I had to watch some of their stunts through my fingers and they had us on the edge of our seats. The theatrics of the crocodile were truly outstanding and akin to a West End show (he is pretty scary and if you're sitting in the stalls I would pre-warn your younger/more sensitive children and reassure them that he's not real beforehand) and yes, Peter Pan really does fly and there are some fantastic visual effects throughout. 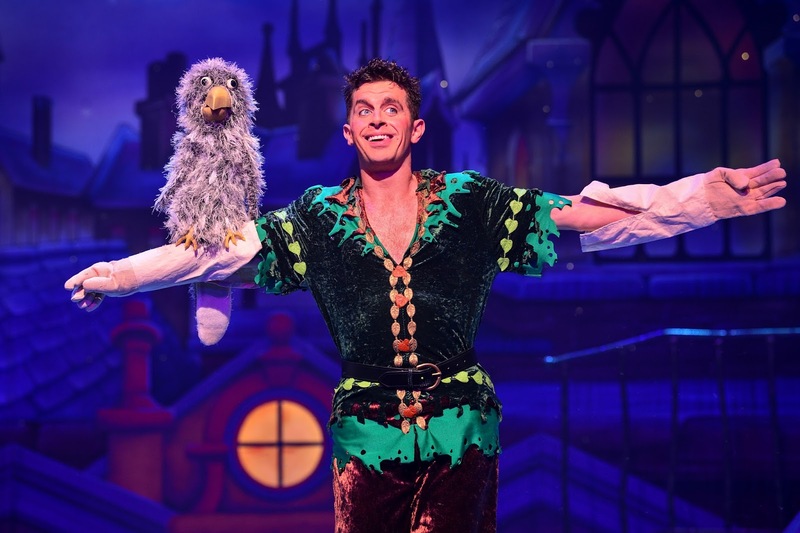 I've watched over 50 pantomimes in my lifetime and I will say that I didn't see much ad-libbing like you get in other shows - it all felt very much scripted and I also didn't feel any real connection from the actors to the audience like I have in other shows either - perhaps this is because I was a first timer? I'm not sure. I am a massive fan of villains too and love it when they really come into their own. 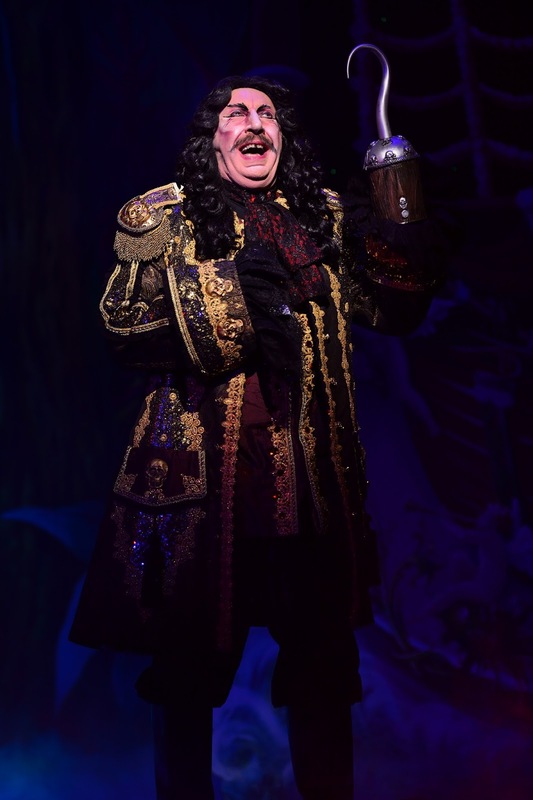 Steve Arnott played the part of Captain Hook really well but I would have loved to have seen more encouragement for us to boo when he was present on stage and I was surprised that there was no mention of 'he's behind you' either which surely has to be part of every panto? For me, it was the final scenes that were the funniest. The audience participation section is where I laughed the most and it was fab to see some very good sports taking part. I'll not give too much away but you'll not believe how far things go. I loved all of the music too and there's something special about watching a pantomime with a live orchestra. There are plenty of songs for you to sing along to and I found myself dancing in my seat on more than one occasion. The scene with the ensemble of pop song snippets really had me giggling along and we were all hanging on Danny Adams' every word at this point. 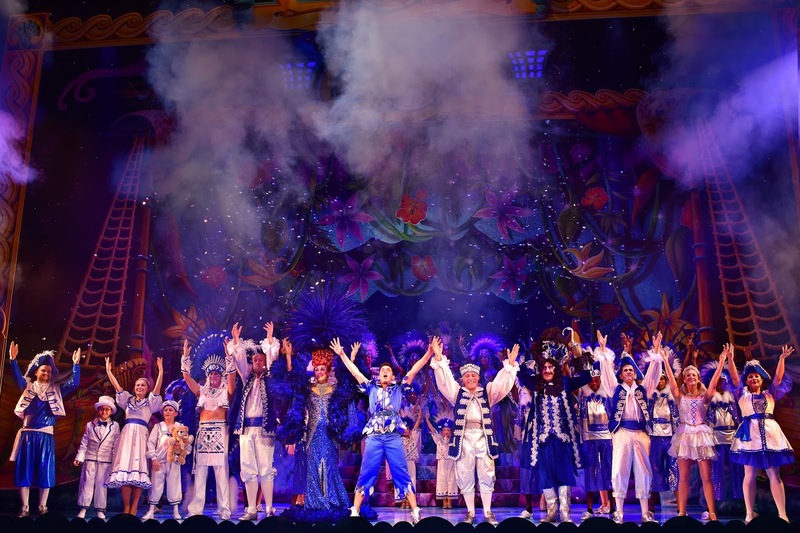 We left the Theatre Royal saying that we'd all had such a fun evening together - Peter Pan is a panto packed with variety that will wow families with its stunning visual effects, have you on the edge of your seats and will provide you all with an evening full of laughter to remember. I am honestly so happy that we have finally experienced a Theatre Royal panto with the children. They were so thrilled to show us what all the fuss is about and I can really see why this panto is dear to so many. Harry, Heidi and Jack loved it so much and are already counting the days until they're going to watch the show for a second time with school. Panto continues until 21 January - there are still tickets available although they are limited on some dates. 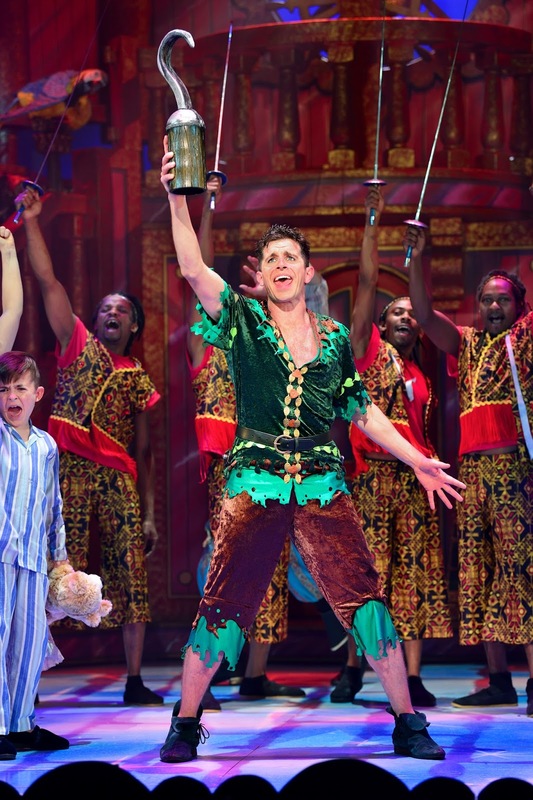 You can buy tickets to watch Peter Pan and find out more here. We go every year to this. It was only reading your review that I realised that we probably look like the big group of adults as all of my cousins and sisters go so about 15 adults to 6 kids! My grandad loves it and pays for us all to go every year. He’s 99 this year and still planning on being there. My husband got taken on stage one year and so for ever more has panto-fear.